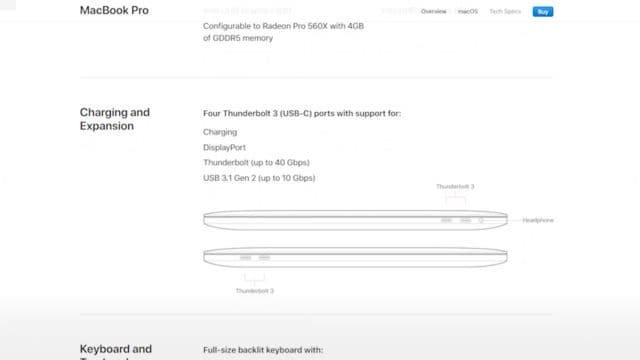 Well it seems that Apple might have actually listened to its customers for a change and after the criticisms about the last MacBook Pro being a bit less Pro than it should, Apple decided to try and bring some of that back this time around with the new MacBook Pros. 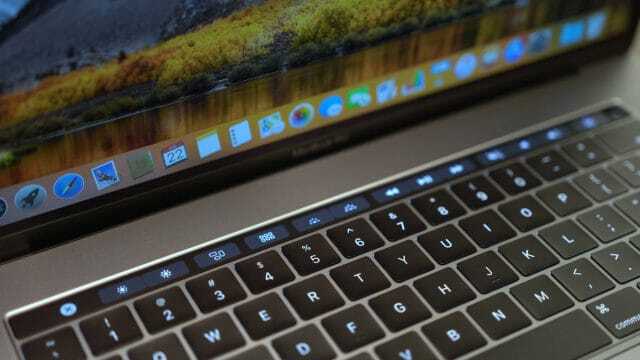 I managed to get my hands on the new MacBook Pro 15 inch in the top spec model with the Intel Core i9 processor, etc. and figured I would do a complete walkthrough on it. If you aren’t familiar, a complete walkthrough on this channel is where I go through every feature I can on a piece of tech so you are better prepared should you be in the market for buying one. With that said, as always there is a lot to go through, so let’s start with the design. The new 2018 MacBook Pro style-wise hasn’t changed too much from the previous version. In fact, the dimensions, aluminum material, and color options are identical to the 2017 version. 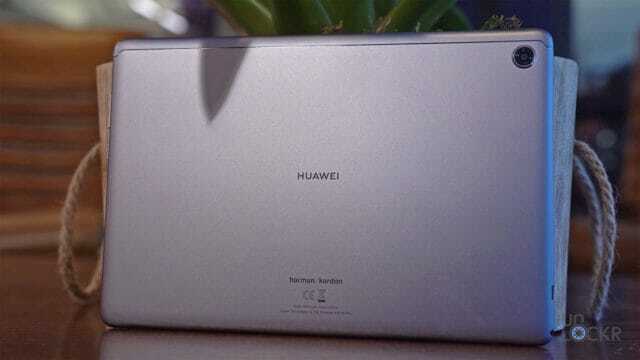 The screen is also the same with a 2880×1800 resolution 15.4 inch IPS display that tops out at about 500-nit of brightness. 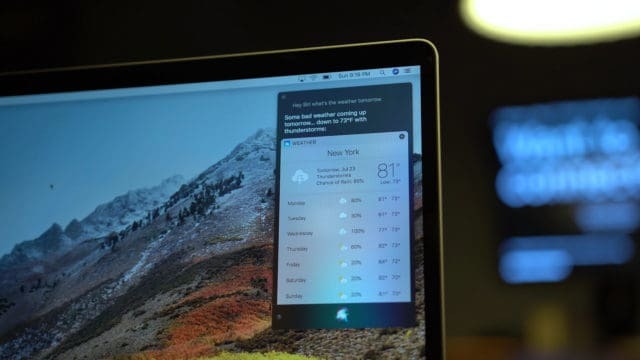 The only thing that was added is that the screen can use the Apple True Tone technology to change the color of the display to have better white balance and brightness based on the ambient light in the room you are looking at it in. Under the screen, we still have the TouchBar from the previous model (which also has TrueTone enabled to adjust its color temperature and brightness, as well, but I couldn’t tell any difference myself). I personally don’t use it and haven’t really met anyone who has told me otherwise, but I’m sure someone out there does, right? Right?! 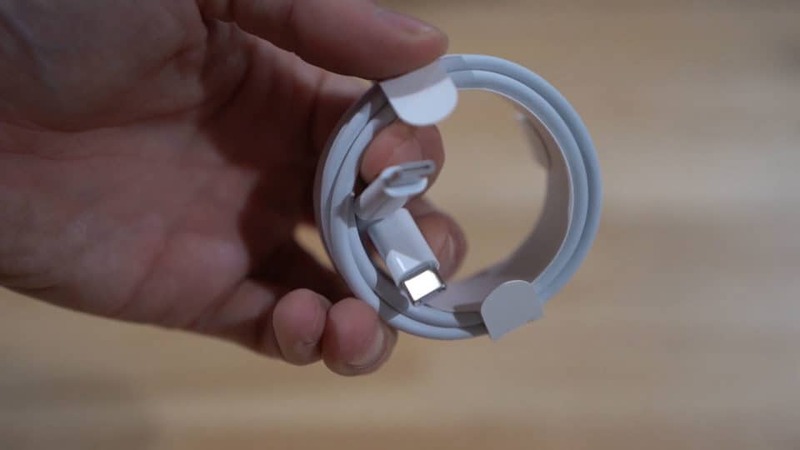 There is also a Touch ID sensor for fingerprint recognition in the power button, as well. Below that we have the improved keyboard. 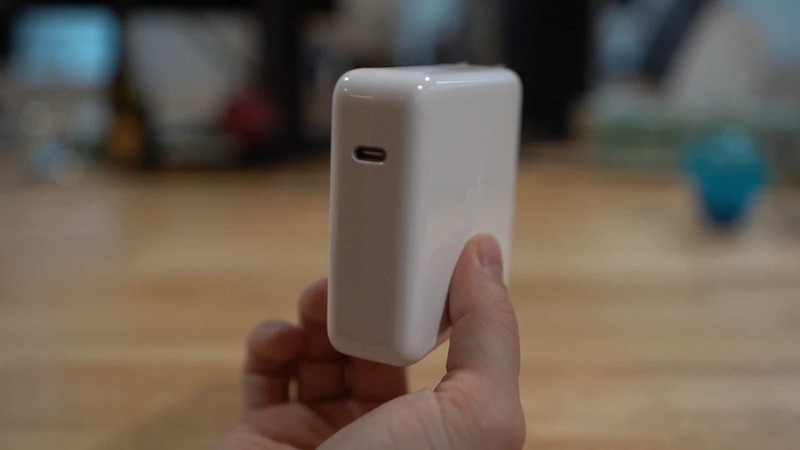 Apple isn’t saying how it improved it or if they improved the dust protection (see here for why that was an issue with the last model) but they are saying that it is quieter. And, I can say, it is, if only just. The keyboard is still the same butterfly setup from last year that has polarized a lot of people thanks to its concave buttons and shallow key travel (I, personally got used to them pretty quickly). 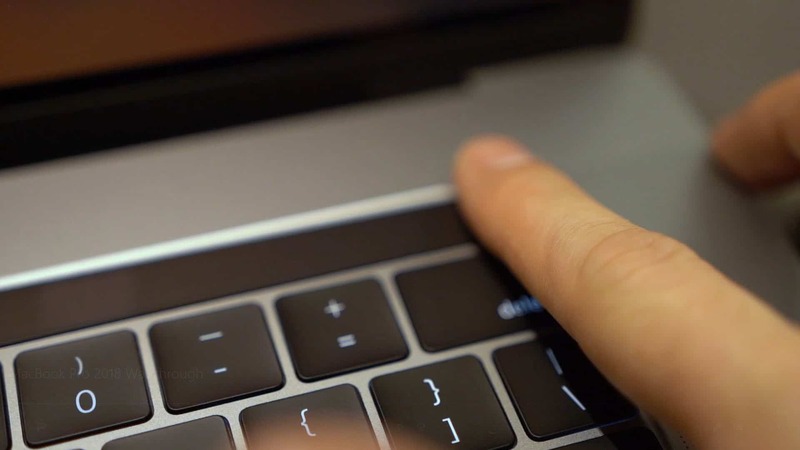 Under the keyboard, we have our large Force Touch enabled trackpad (the Force Touch means it can detect different pressure levels and perform different actions based on those if the developer of the app you’re using has them built in). 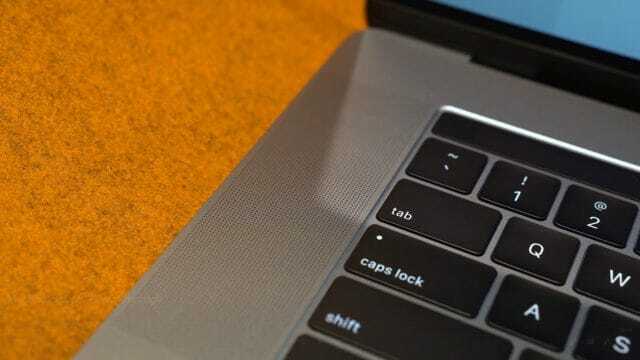 There is something about a Mac trackpad and the way the mouse responds to it that I just can’t get over and wish PCs could somehow emulate (Precision Trackpads on PCs are much better than the older models but still not quite there, it feels like, but I digress). Surrounding the keyboard, we have our stereo speakers. Above the screen, we have our 720P webcam. 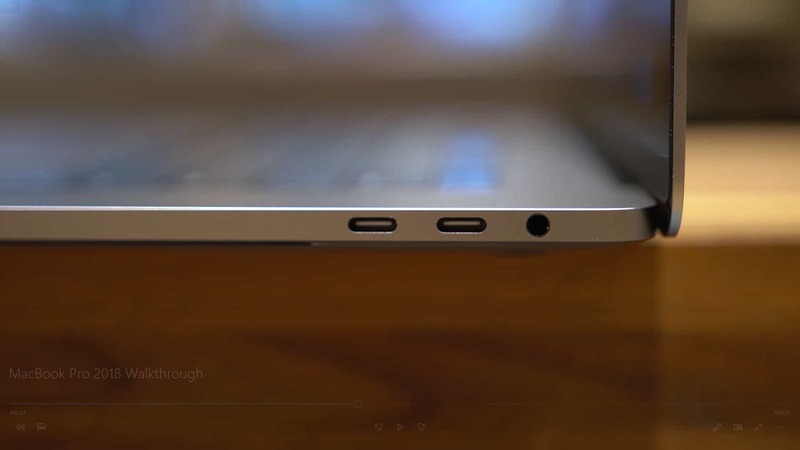 On either side of the device, we have two USB Type C Thunderbolt 3 ports for a total of four. These can be used for charging the laptop, using DisplayPort over USB, Thunderbolt (of course), and USB 3.1 Gen 2. So data rates are clearly a focus point (even if it means dongles for anything that isn’t USB-C). 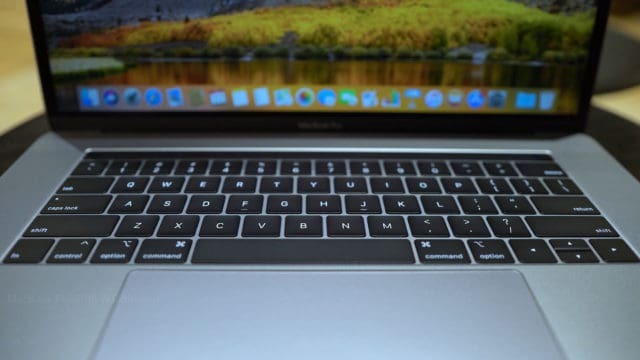 Under the hood is really where this MacBook Pro starts to excite most people compared to the lackluster reception of last year’s model. 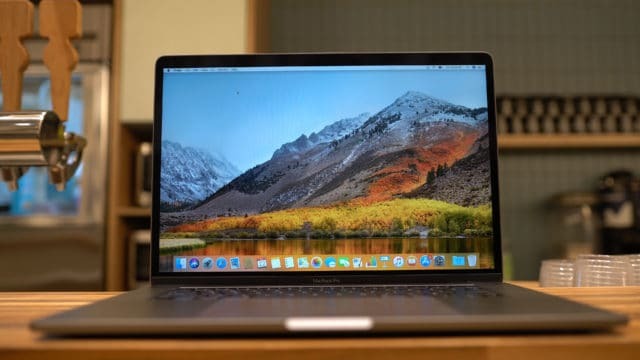 Powering the 15-inch device you can have a six-core Intel Core i7 or six-core Intel Core i9 processor, up to 32GBs of RAM, and either a Radeon Pro 555X or a Radeon Pro 560X both with 4GBs of video memory. For storage, you can choose between a 256GB (for the Radeon Pro 555X models only), 512GB, 1TB, 2TB, or 4TB SSD. Now, the pricing between these storage options gets a bit ridiculous towards the top end. 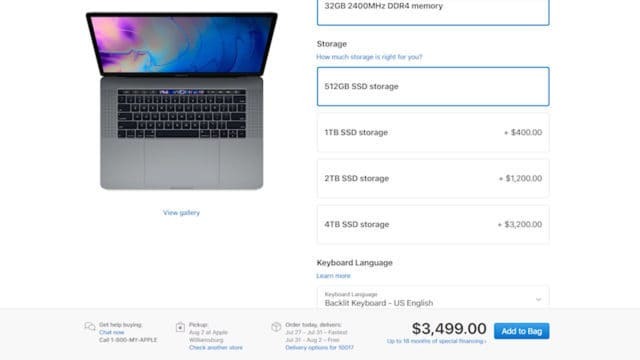 The difference between 512GB and 1TB is only $400, but 1 to 2TB is $800, and 2 to 4TBs is a whopping $2000 ($3200 over the 512GB SSD). Meaning that I’d recommend some external SSDs instead of built-in options after the 1TB, personally. 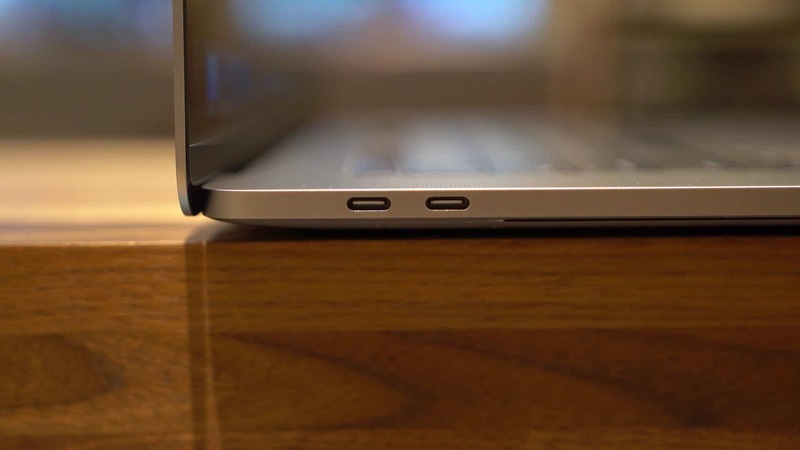 Powering the MacBook Pro 15 is an 83.6-watt-hour battery and it comes with an 87-watt USB-C charger. 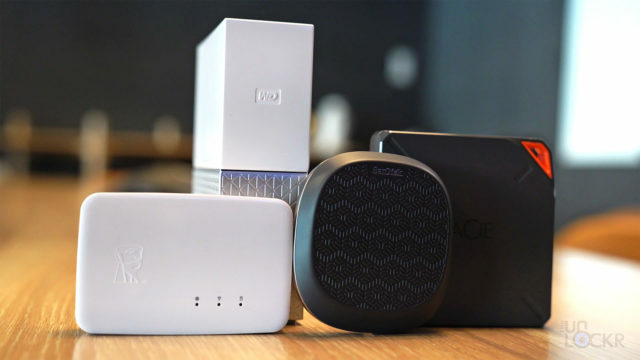 Connectivity-wise, we’re looking at the usual Bluetooth 5.0 and WiFi 802.11ac. 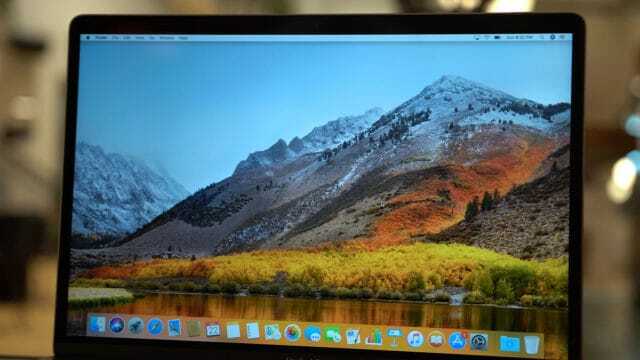 Now, on to the software, we are running the latest version of MacOS High Sierra. Since I imagine most of you watching this are familiar with MacOS and High Sierra, I won’t spend too much time on it. 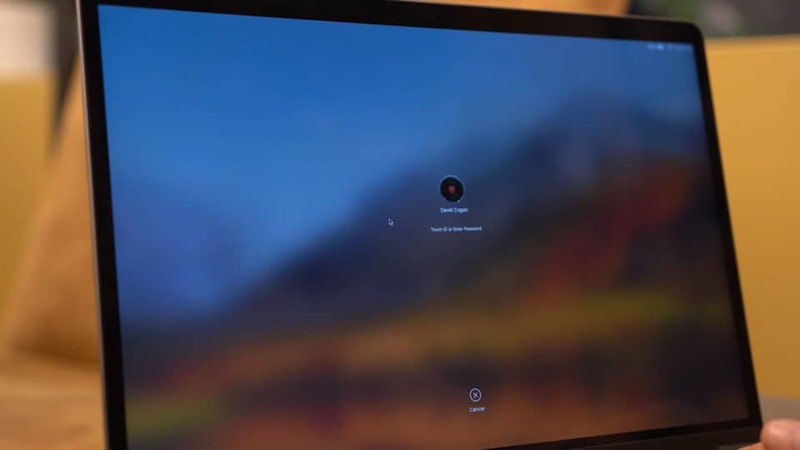 The only real difference here is that Apple has added support to all of the MacBook Pro 2018’s for “Hey, Siri.” This means you can literally say, “Hey, Siri.” at any time while the computer screen is unlocked to bring up the virtual assistant and give her commands like you would on your phone. 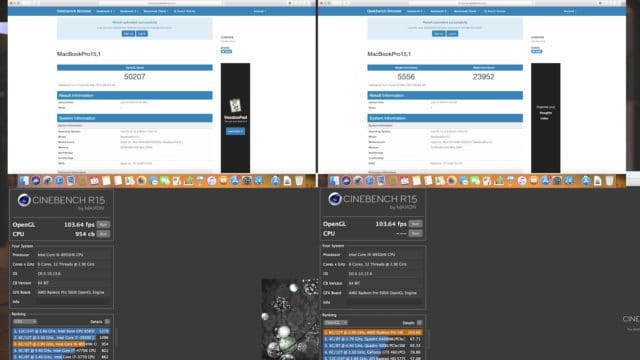 And for those of you who might be interested, here are a few common benchmarking program scores using the MacBook Pro 15″ 2018 with the 2.9Ghz Intel Core i9, 32GBs of RAM, Radeon Pro 560X, and 512GB SSD. 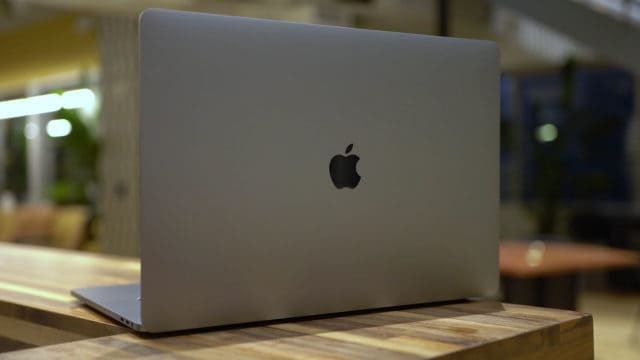 Battery test against some of the other laptops in this realm coming soon, as well as performance tests and render tests in Premiere and Final Cut Pro X so subscribe and click the bell next to the word subscribe to be notified when I do those. 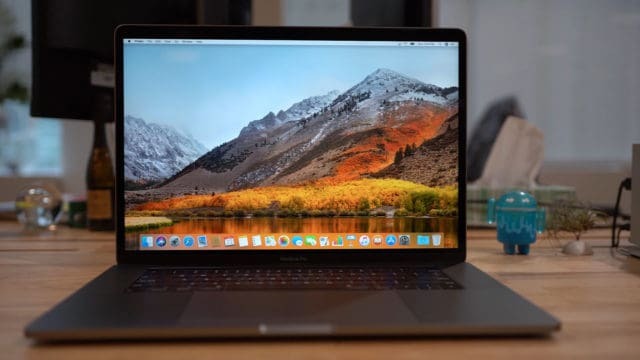 Let me know what you guys think of the new MacBook Pros, I’m happy to see Apple trying to put more performance into them at least compared to last year, but is it enough for you guys who might have skipped last years model?